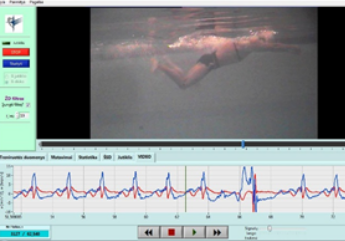 A system facilitating the work of a trainer which helps to analyse the recorded video material and prepare a swimming competition report. 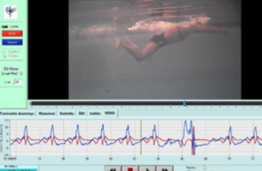 Synchronous registration of video and kinematical parameters. Contract with Lithuanian Sports University.